Cristiano Ronaldo will function at Juventus next season, and it is a match-up that the world will have its eager eyes on. 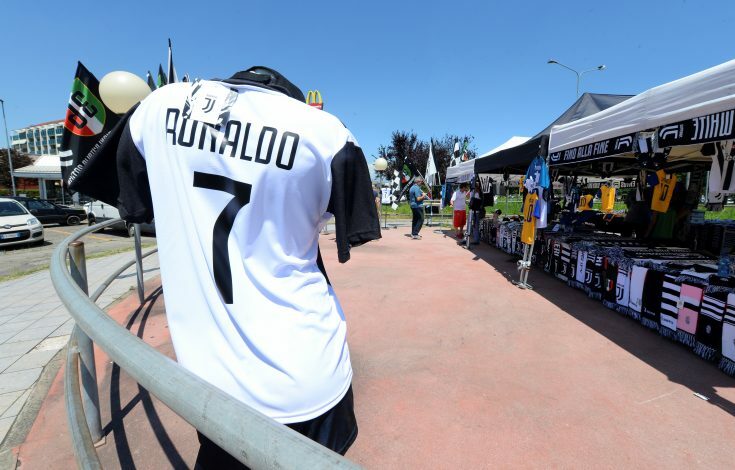 While Juventus already boast of a terrifyingly powerful attacking line with the likes of Dybala, Higuain, and Douglas Costa dominating up-front, the addition of Ronaldo to this mix is bound to spell trouble for opponents of the Old Lady. The formation with some considerable attacking-punch, and one that would involve three men at the back, a tactic Juventus have tried on and off last season. Through this, the duo’s goal-scoring tendency can be done great justice to, and a fearful partnership could indeed form. It would also suit the Portuguese superstar, as the weight of scoring won’t lay on his shoulders alone, and something similar to his and Benzema’s partnership back at Real Madrid could be on the cards. Further, the newly acquired services of Emre Can gain extra importance through this, and the German could be a technical asset in the middle, paired alongside Matuidi and Cancelo. This lineup assumes that Higuain won’t be sold to Chelsea this window, which is also a strong rumour doing the rounds, as the London Blues have acquired Maurizio Sarri as their manager, and the two have a successful history. If that does occur, a slight variation of this could take place in a 4-4-2, with Dybala partnering with Ronaldo up-front. If Higuain is indeed sold, then it could work out much better than expected for Juventus, with the most being made out of the 33-year-old’s central abilities. This is the technique that makes the best use of his lethal scoring skills and keeps in mind his age as well. Further, a star-studded lineup cannot afford to sideline the likes of Cuadrado, Dybala, and Costa, and this is the lineup that will take into account the best of their collective skills. This will see Ronaldo down the middle, with Dybala and Cuadrado as his fellow attackers and Costa functioning as the crucial flank-man. Further, it is also a stable formation that Allegri can opt for when some defensive balance is required, and if Dybala or Ronaldo fail to make the desired impact, the likes of Mandzukic could be a valuable late-game substitution. A formation that is bound to be experimented with, and one with considerable offensive merit, as it will see Ronaldo function from the left-wing, which has been his illustrious position ever since Manchester United. If Higuain is sold, Mandzukic could function as the centre-forward, and if his World Cup campaign with Croatia has been any hint, much brilliance could await even through him, although not for the entirety of the 90 minutes. With Cuadrado on the right, this lineup will see Dybala in his dangerous central attacking role, which has seen him score 14 goals, the highest of his various deployments. Further, the no.10 role of the Argentine, with some changes to the formation, could transform into a false nine position as well. However, this is a role that Dybala has not been too sure about, but perhaps the arrival of Ronaldo is what it will take to make it work. This is also their most potent and realistic attacking option, as Ronaldo can switch up in the centre, and with the likes of Alex Sandro on the flank behind him and Dybala lurking dangerously around the box, something really special can be woven from this after all. All in all, a patchwork mix and matching of the aforementioned formations is bound to be the more realistic option, as none of them accounts for a full-time efficiency. However, the inclusion of a player of Ronaldo’s calibre certainly makes such switches worth the shot.